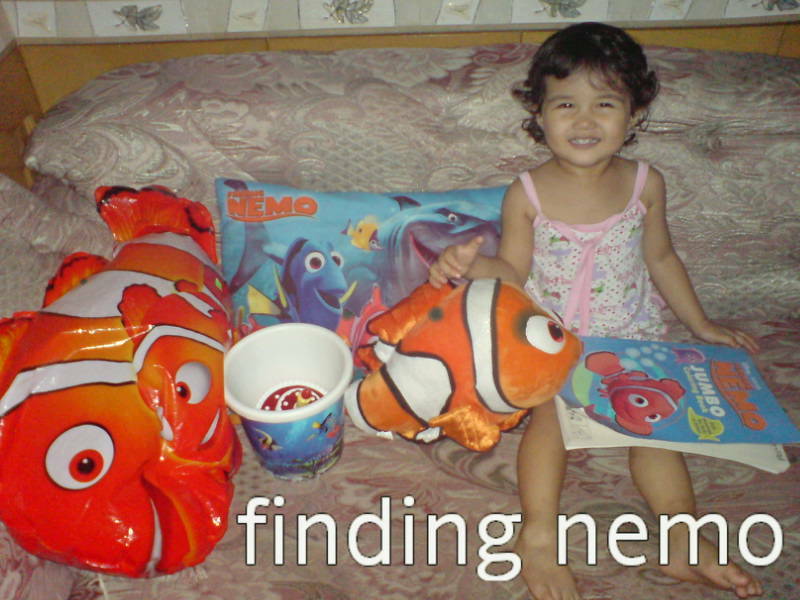 Yep, our toddler has fallen in love with Nemo ^_^ It all started with a pillow (the one in the pic above) she found in my bro's room early this year. When she knew all the characters in the pillow, we let her watch the movie. 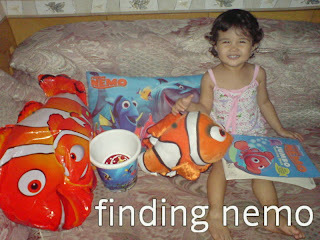 As expected, Iya loved Finding Nemo :) What we didn't expect was her uber attachment to it, such that she always asked us to buy 'Nemo toys'.